Home APL.DE.AP BAMBOO JANICE JAVIER KLARISSE DE GUZMAN LEA SALONGA MITOY YONTING MYK PEREZ POLLS SARAH GERONIMO TELEVISION THE VOICE OF THE PHILIPPINES The Voice Philippines Grand Finals: Klarisse De Guzman (Team Sarah Geronimo) for the win! The Voice Philippines Grand Finals: Klarisse De Guzman (Team Sarah Geronimo) for the win! The Voice of the Philippines Grand Finals tonight, and Klarisse De Guzman (Team Sarah Geronimo) is the winner for those who voted in my 'The Voice Philippines Final 4 Poll' which I conducted the whole week leading to the finale showdown. Klarisse, 21, the youngest among the 4 grand finalists, got a big share in the voting, 51.70%, while the remaining half were shared by the other 3. The oldest among the 4, Mitoy Yonting, 43, from Team Lea Salonga, came 2nd to Klarisse in the poll with 23.02%, closely followed in 3rd by Team Bamboo's Myk Perez, 22, with 18.11%. 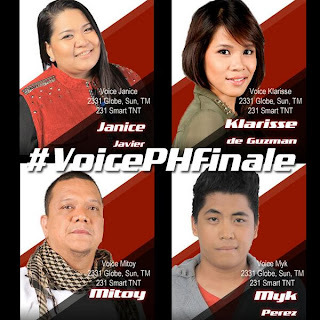 Janice Javier meanwhile of Team Apl only got 7.17%, the least favorite to win 'The Voice of the Philippines'. Will the poll results be proven right tonight? 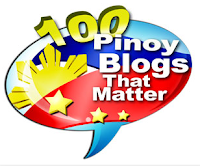 Well, reality singing competition winners like Jovit Baldivino (Pilipinas Got Talent Season 1), Marcelito Pomoy (Pilipinas Got Talent Season 2) and KZ Tandingan (X Factor Philippines) all topped on this blog's poll during their respective time. 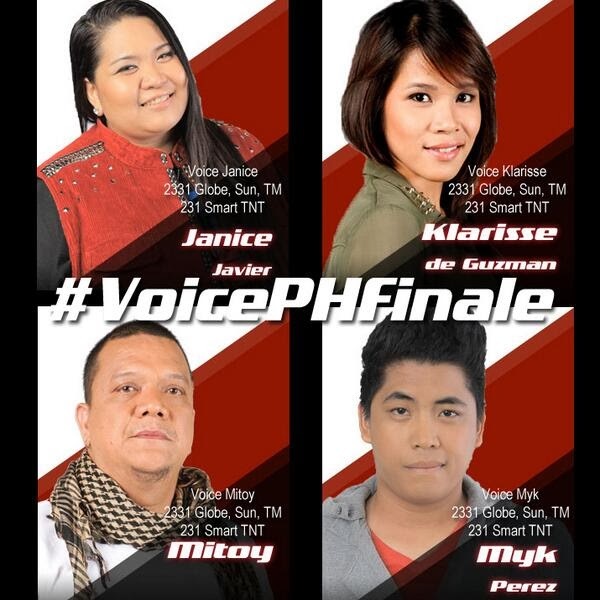 The Voice of the Philippines - The Final Showdown and Results Night airs at 8PM after 'Rated K'. Westlife's Shane Filan will be performing with the Top 4. UAAP Season 76 Finals 2013: It's La Salle vs UST! The Voice Philippines: Who completed the Top 8? Star Magic Ball 2013 Photos: Who came with whom?